Internet Service Providers may be able to sell your web history in the United States without you giving your consent. The new ruling passed the US Senate and the House of Representatives already, and the last thing standing in its way is the President of the United States. Assuming that the change in privacy rules will pass, ISPs may sell your browsing data to third-parties. Since you interact with the ISP directly when you are using the Internet, data that may be included in the package may include your browsing history, general usage information, location information, interests (based on sites), searches, and more. Since you may not want the data to be sold in first place, one of the best courses of action is to prevent the ISP from knowing much about what you do online in first place. How that is done? Glad you asked. The best option that you have, without doubt, is to use encryption. 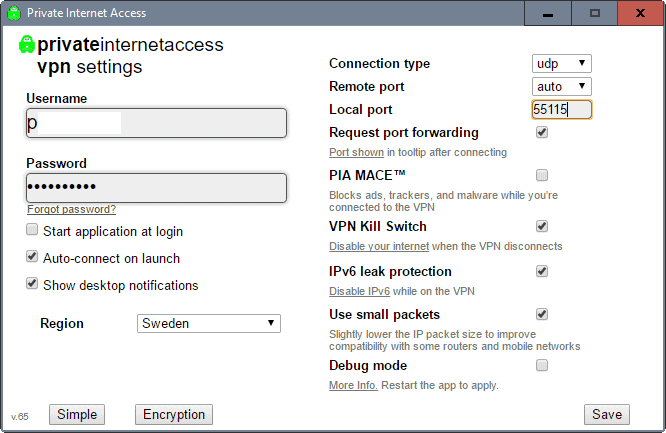 A VPN service is ideal, as it encrypts traffic between your computer and the Internet destinations. While your ISP sees that connection, it won’t know anything about what happens afterwards. This means that the ISP does not know which sites you visit on the Internet, what you do on those sites, which searches you run, or what your interests are other than that you are using a VPN to protect your Internet data stream. Note: Depending on the VPN, you may need to change DNS servers as well to avoid that the look ups use the ISPs DNS server. Good VPN services use their own DNS servers, and/or offer DNS leak protection. It is suggested not to use DNS servers from a company that either admitted openly to selling usage data, or is a known advertising company. While you can use free VPN services, most do sell your data, anonymously or not. It is advised therefore to get a paid VPN service instead. You can check out Ghacks Deals for VPN service offers, or use the Internet for that. A service that I can recommend is Private Internet Access. You can get a 2-year subscription for $59.95 currently on Ghacks Deals. If you are on a tight budget, you may want to consider using Opera’s built-in browser VPN instead. The main advantage here is that it is free and easy to setup as you only need to flip a switch. Opera VPN is available for desktop browsers, but also for Opera on iOS and Android. The downside is that you need to take Opera’s current situation into account. The browser was sold to a Chinese consortium, and the VPN is managed by SurfEasy, a Canadian company. Canada is part of Five Eyes, an intelligence alliance that Australia, Canada, New Zealand, UK and the US are members of. Another downside is that Opera’s VPN protects only the web browser but not other traffic. If you use Netflix’s app or other applications, P2P, FTP, email desktop clients, chat programs, or any other program that runs outside of the browser, you need to be aware of that those are not protected. Another thing that you may want to do is connect to HTTPS versions of sites whenever possible. The HTTPS connection is encrypted. This means that your ISP does not know what you do on the site, only that you connected to it. This entry was posted on Thursday, March 30th, 2017 at 10:26 am	and is filed under privacy, tech tips. You can follow any responses to this entry through the RSS 2.0 feed. Both comments and pings are currently closed.